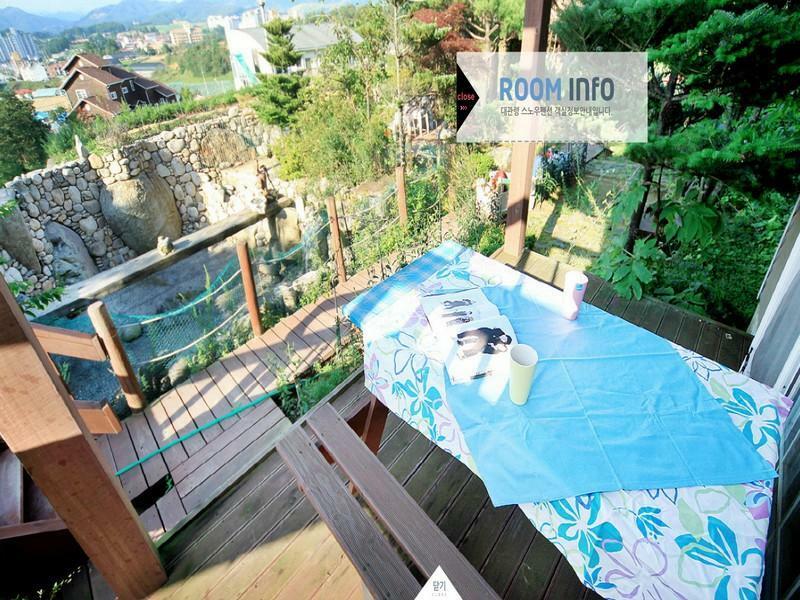 ﻿ Daegwalnyeong Snow Pension, Pyeongchang-gun | FROM $194 - SAVE ON AGODA! "Given the high prices and mediocre quality of nearby hotels,..."
Have a question for Daegwalnyeong Snow Pension? "Overall, we had a good vacation at the Snow Pension." "The bedding for ondol sleeping in the second bedroom was nice." 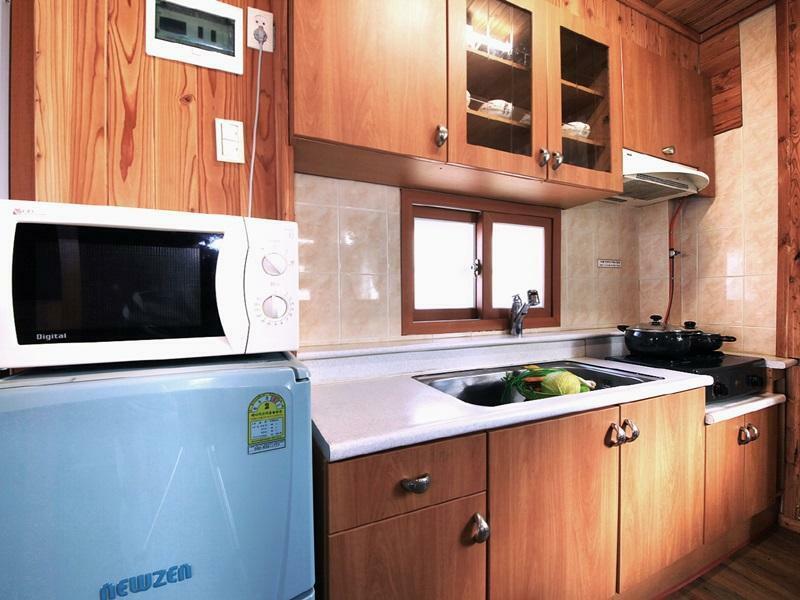 "The kitchen was very useful and was supplied with Korean standard kitchenware." Designed for both business and leisure travel, Daegwalnyeong Snow Pension is ideally situated in Daegwalnyeong-myeon; one of the city's most popular locales. From here, guests can enjoy easy access to all that the lively city has to offer. For those of you who want to venture out, Yongpyeong Water Park Island, Ocean 700, Yongpyong Resort are just some of the attractions available to visitors. 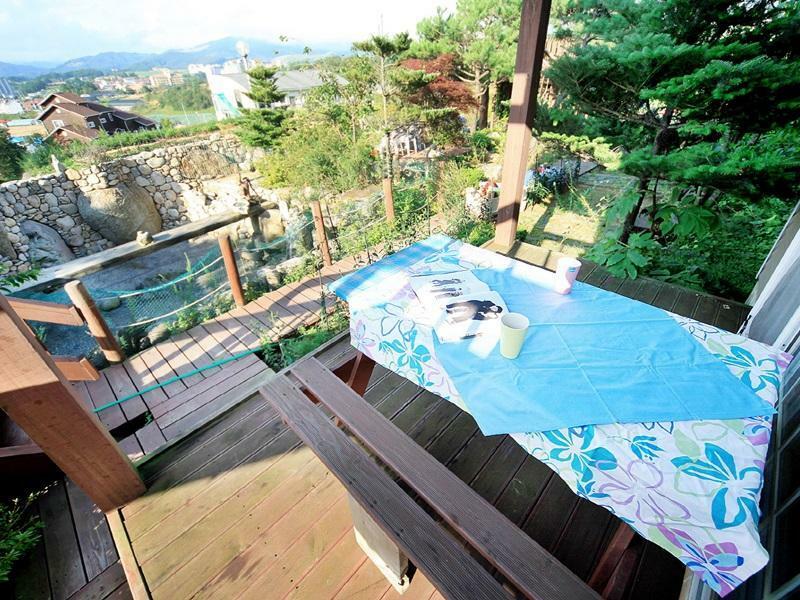 Daegwalnyeong Snow Pension also offers many facilities to enrich your stay in Pyeongchang-gun. The hotel provides free Wi-Fi in all rooms, daily housekeeping, taxi service, express check-in/check-out, luggage storage to ensure our guests the greatest comfort. Experience high quality room facilities during your stay here. Some rooms include television LCD/plasma screen, internet access – wireless, internet access – wireless (complimentary), non smoking rooms, air conditioning, provided to help guests recharge after a long day. The hotel offers an excellent variety of recreational facilities, including garden. With an ideal location and facilities to match, Daegwalnyeong Snow Pension hits the spot in many ways. "The hosts are very hospitable." Very relaxing place. The hosts are very hospitable. Very relaxing place. The hosts are nice and took cared of us. This is a really sweet place. The facilities are relatively simple, but our hostess was incredibly kind and thoughtful and that really made the trip. Given the high prices and mediocre quality of nearby hotels, this is a charming option. We would happily recommend it to anyone looking to ski in the area. Overall, we had a good vacation at the Snow Pension. It had 2 bedrooms with doors, private bathroom, and a larger kitchen/dining/living room area. Plenty of space for a family of 4-6. The furniture in the downstairs unit was a bit uncomfortable in general and there was an odor in the bathroom at times. Our friends in the upstairs unit had a bit nicer furniture in general. The bed in one bedroom was hard for Western standards. The bedding for ondol sleeping in the second bedroom was nice. The kitchen was very useful and was supplied with Korean standard kitchenware. The kids had fun overall and we had a great trip. The warm floors, the quaint little loft/attic and Mrs. Won made the stay unforgettable! Our stay here was great. We are a family of 4 avid snowsports people who experienced Korean skiing/snowboarding for the first time. We rented a car and upon pulling up in front of the property Mrs. Won (the awesome little Korean landlady) came running out to greet us by name and introduced us to the pension. She also hopped in the car and we followed her to the rental place the next morning. This was the only downside to the stay as we previously skied in Phoenix Park and the rental place (Snow Valley) had a much greater range of gear and the staff were much more friendly. It was close enough to the ski fields to allow for a reasonably early morning wake-up and breakfast! the nice house, a nice garden and a very helpfull owner. the Snow pension was absolutely nice and Ms Won has been so nice with us and the kids. I recommend this pension for family's which are looking to visit the Odesan park as it is near by the entry of the park and again the quality o the service and the plea, the house and the comfort are great. I will go back there during winter holidays for skiing.